Northern Ireland striker Jamie Ward is in talks with Nottingham Forest after being told his contract will not be renewed by rivals Derby County, BBC East Midlands Today reports. The 29-year-old's contract runs out at the end of June and no deal is expected to be revealed before then. Ward joined Derby on loan in February 2011 before completing a move from Sheffield United that season. 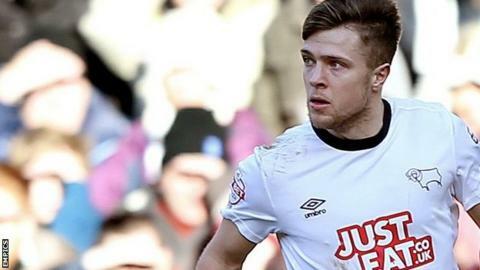 He made 29 appearances for the Rams this season, scoring six goals. He played a total of 136 games for the club.